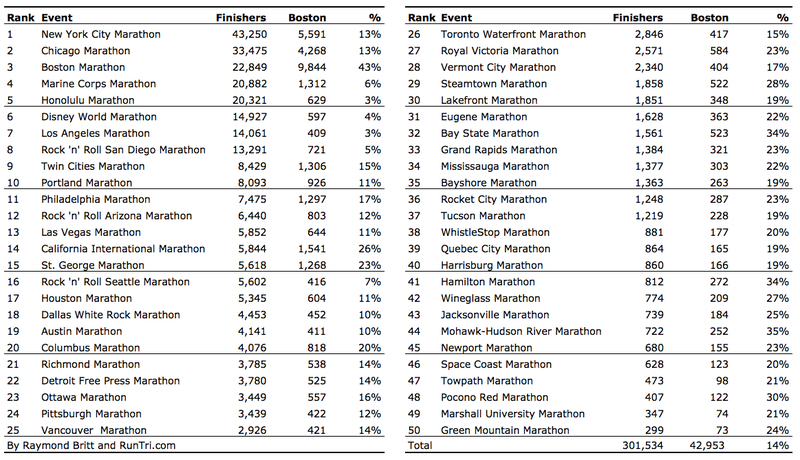 Fifty races, 300,000+ finishers, 42,000+ Boston Qualifiers -- here's our list of the Top 50 Best Marathons for runners who want to Qualify for Boston. 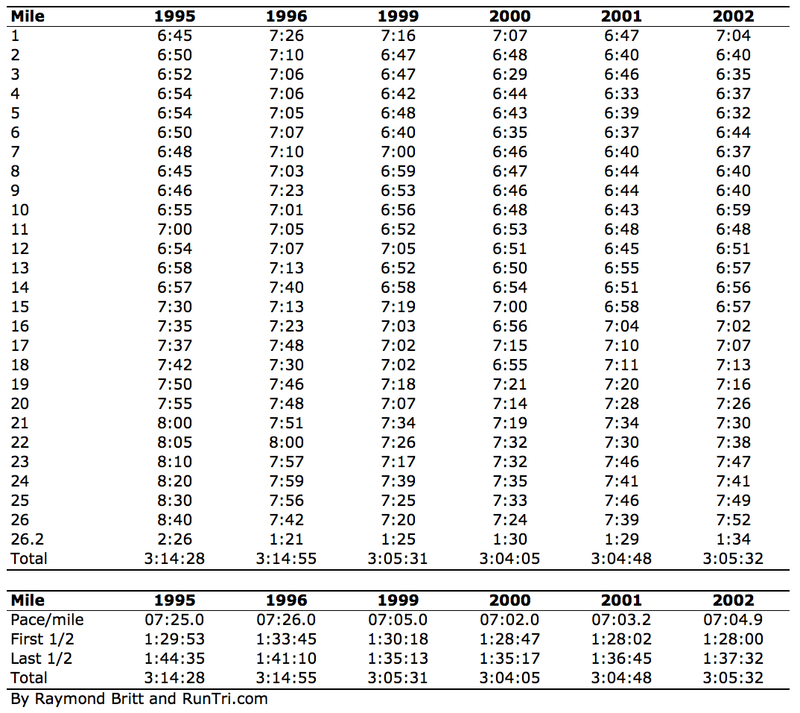 Also see our Marathon Training and Racing section, and our complete coverage of Chicago, Boston and New York City marathons. 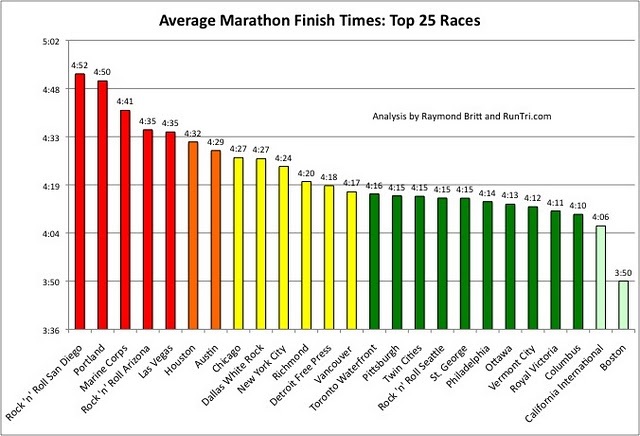 To see the qualifying times you'll be shooting for, visit our Qualifying for Boston analysis. To put these top 50 races in perspective, here are excerpts from RunTri's extensive marathon analysis and race coverage, to help you on your journey to Boston. 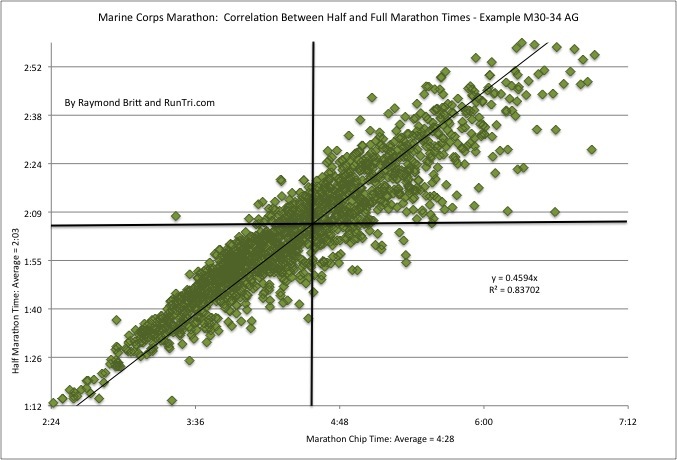 Click on title links for further analysis/discussion behind each chart. Predicting your full marathon time based on your best half marathon: Marine Corps Marathon example. Average finish times by Age Group: New York Marathon example. 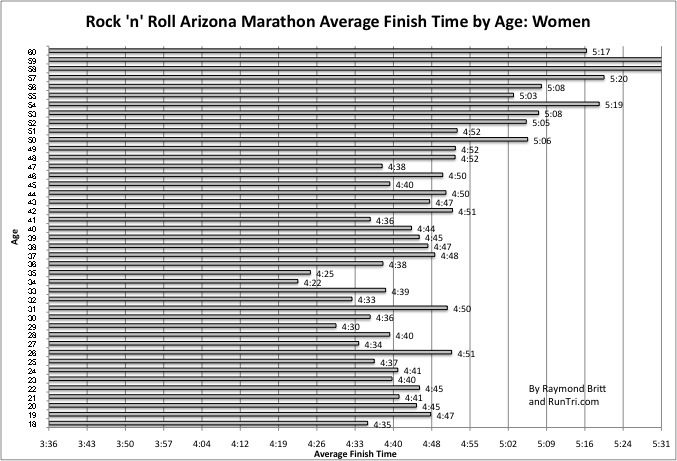 Average finish time by Age, year-by-year: PF Chang's Arizona Marathon example. 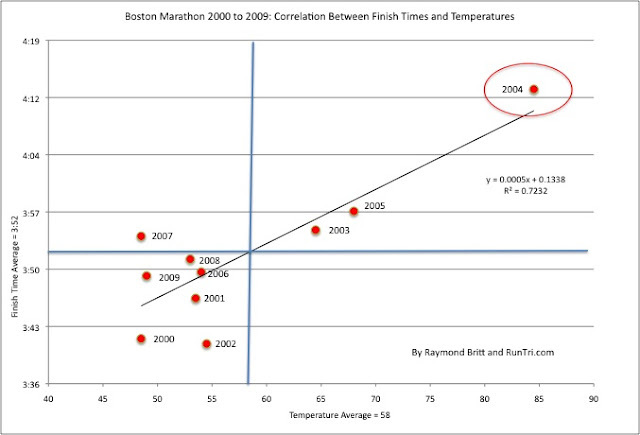 Impact of Weather on Average Race Results: Boston Marathon Example. 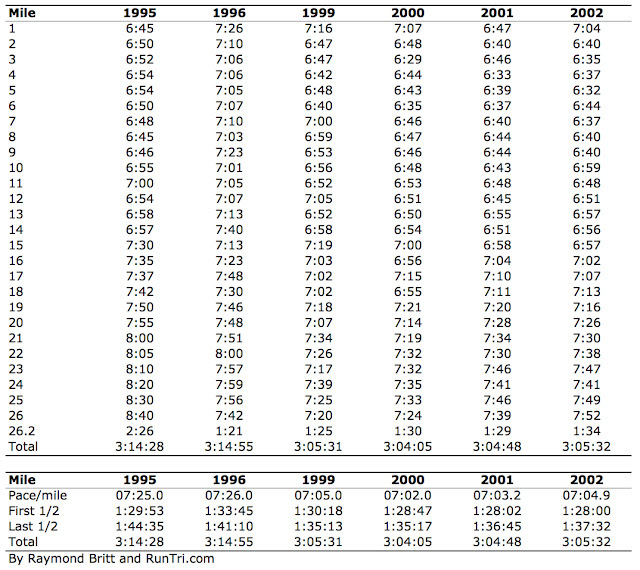 And more . 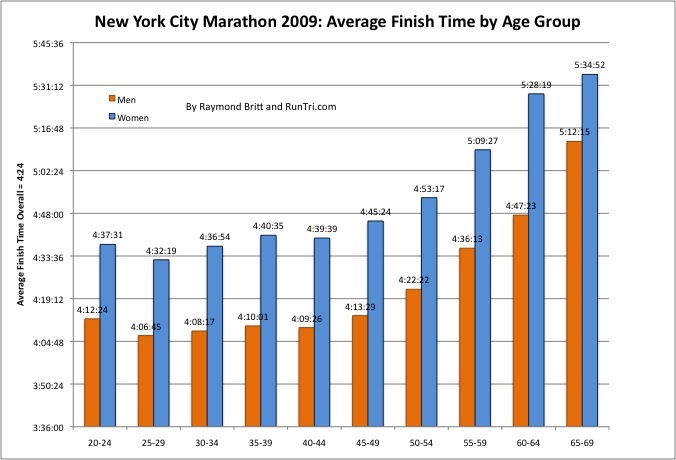 . . www.RunTri.com home page.